Queens College of the City University of New York (CUNY) is the first college in New York State to sign an agreement with Navitas, a global higher education organization that partners with universities to increase international students’ access to higher education and prepare them for future success. The new partnership will support the college’s internationalization strategy by broadening international education on campus, enhancing its global reach and reputation, and expanding learning opportunities for international and domestic students alike. CUNY is the leading urban university system in the nation. 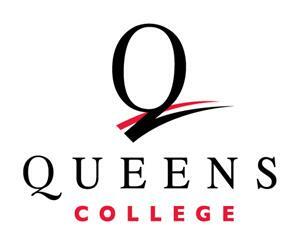 Queens College, the second largest of CUNY’s 11 senior colleges, offers over 100 undergraduate and graduate degree programs from a leafy 80-acre campus with state-of-the-art facilities, located in the New York City borough of Queens. The partnership will give Queens College access to Navitas’ significant internationalization resources, including its extensive international recruitment capability and global teaching and learning expertise. The collaboration will also include the development of a Global Student Success Program on campus (QC-GSSP). The QC-GGSP will support the transition of international students to a US university environment and prepare them for future academic success. Navitas has more than a quarter century of experience partnering with leading institutions around the world including public universities in the United States, to support their internationalization goals. The partnership with Queens College marks Navitas’ 40th institutional partnership globally. “Navitas is delighted to be partnering with Queens College, which is a leading institution for the quality and value of its academic programs and student achievement. We are excited to support the College with its internationalization strategy, which will enable more students from around the world to benefit from the excellent academic programs and vibrant student life that Queens College and the New York City area have to offer,” said Navitas Group CEO, David Buckingham. It is anticipated that the Queens College Global Student Success Program will welcome its first students in Spring 2020. Queens College graduates the most teachers, counselors, and principals serving in New York City public schools. The college contributes to the local talent pool as a powerful economic engine and a leader in tech education, with more computer science majors than any college in New York City. Students from across the country and around the world are attracted to study at the Aaron Copland School of Music. Its renowned faculty and alumni include nationally recognized composers, conductors and performers who have received over 100 Grammy Awards and nominations. Queens College enjoys a national reputation for its liberal arts and sciences and pre-professional programs. With its graduate and undergraduate degrees, honors programs, and research and internship opportunities, the college helps its nearly 20,000 students realize their potential in countless ways, assisted by an accessible, award-winning faculty. 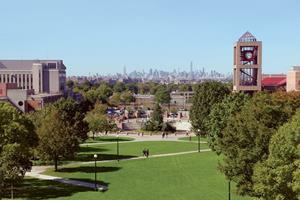 Located on a beautiful, 80-acre campus in Flushing, the college is cited each year in the Princeton Review as one of the nation’s 100 “Best Value” colleges, as well as being ranked a U.S. News and World Report Best College and Forbes Magazine Best Value College thanks to its outstanding academics, generous financial aid packages, and relatively low costs. Visit our homepage to learn more.